Rachel Sussman is a contemporary artist based in brooklyn. For nearly a decade, she's been developing the critically acclaimed project “The Oldest Living Things in the World,” for which she researches, works with biologists, and travels all over the world to photograph continuously living organisms 2000 years old and older. She’s received numerous awards, and spoken at TED, The Long Now Foundation, and UCLA, amongst others, and appeared on the air on CNN, BBC, and various public radio programs. Her exhibition record spans more than a decade in museums and galleries in the US and Europe, and her photographs and writing have been featured on global media outlets including The New York Times, Wall Street Journal, The Guardian, and NPR’s Picture Show. Jerry Saltz says of her work: “These stately pictures quiet the soul…Sussman brings you to the place where science, beauty, and eternity meet.” Her book is out now from the University of Chicago Press. 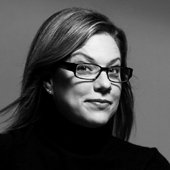 Debbie Millman is a designer, author, educator, strategist, and host of the podcast Design Matters. Debbie Millman talks to journalist Anand Giridharadas about his career, about a divided America, and about tech monopolies. Debbie talks to author and researcher Brené Brown about belonging, courage, and vulnerability. Debbie talks with pastry chef and Milk Bar founder Christina Tosi about her career and long apprenticeship. Debbie talks with writer Anne Lamott about her life and her long career.